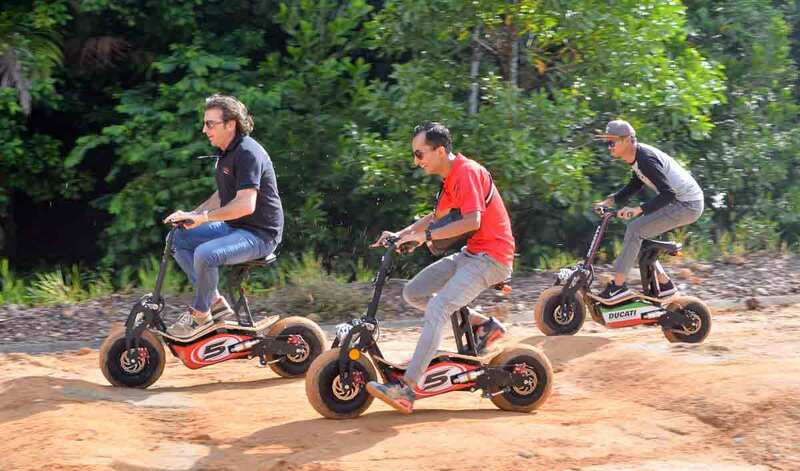 The track located at MTZ Paintball Park Cahaya SPK in Shah Alam has been designed to increase the fun factor for the electric scooters. 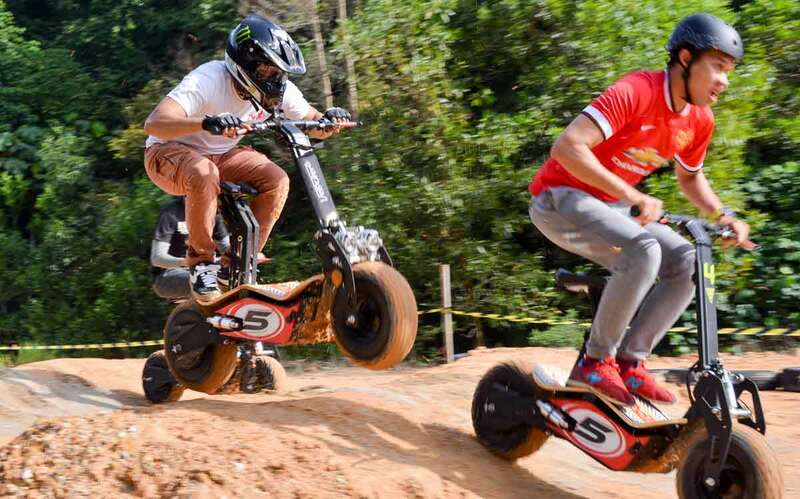 You can even get some wheelies and air times in some parts of the track if you are brave enough like some of the lads here. The modern looking and eco-friendly electric scooter packs a lot of versatility points as well. 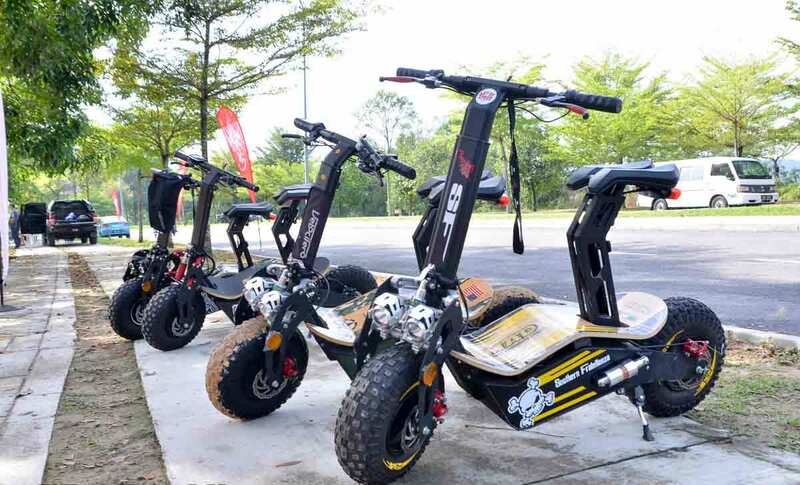 With its ergonomic shape for comfort, it also comes with a removable seat and folding handlebars to meet various riding, transport and storage needs, and accessories like the double headlight and handlebar and saddle bags. This park is most suitable for large corporate events or family days, there are banquet rooms, modern club house showers and changing rooms, poolside restaurants and other racquet games at the club house. It’s you one stop outing venue.